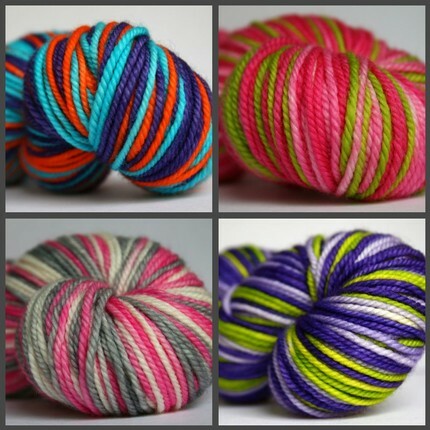 Hey knitters, here’s your chance to win a skein of Yarntini Self-Striping Sport. Visit Olof’s blog post, read up about Jessie’s fabulous yarns and follow the directions on how to enter. Seriously, it’s not gonna hurt. Jessie’s got some last call self-striping in the shop now, if you hurry you might even catch some of them.